The shortest month of the year can be one of the gloomiest. So all the more reason to get away, with sunshine guaranteed in long-haul destinations and some great skiing closer to home. 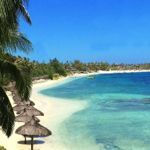 Outside Valentine’s Day and school half-term, many destinations are still relatively quiet so you can pick up some bargains with special offers for solo travellers, especially if it’s not peak season. Here are my tips for the best singles holidays in February. Europe sees some of its best snow conditions in February, so take the short flight to the Alps to make the most of the powder. Travelling solo needn’t rule out skiing as long as you choose your operator carefully. I’d recommend the holidays designed for singles from Friendship Travel, which runs its own ski house parties in the French resorts of Alpe D’Huez and Serre Chevalier. If you prefer to ski alone you can find a ski holiday for solos with no single supplement in resorts including Alpbach and Zurs in Austria, Meribel and Morzine in France and Cervinia in Italy. And for those who fancy a family escape to the slopes, there are some great options for single parents over half-term. Single Parents on Holiday has a week at Kitzbühel, repeatedly voted the world’s best ski resort, or stay in the only five-star hotel in Borovets for a week’s skiing in Bulgaria with Single with Kids. There are plenty winter activities off the slopes too if you head north. Spot the Aurora Borealis on a five-day Land of the Northern Lights group tour to Iceland with Regent Holidays, along with the West Iceland Wonders tour, both with a low single supplement. In Greenland, you could try Dog Sledding Expedition for something even more adventurous. For winter sun, consider Cyprus as the almond trees start blooming this month. The perfect weather for making the most of the island’s walking, it’s also home to ancient ruins and picturesque harbour villages, not to mention five-star hotels with no single supplement through Mercury Holidays. 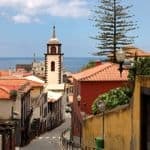 Music-lovers can treat themselves to a cultured escape with escorted trips from Kirker Holidays around Europe, such as this winter sun cruise around the Canary Islands and Madeira. Or how about the cultural charms of Italy? Martin Randall Travel has a fascinating tour of Florence this month. And take advantage of the special Valentine’s Day events for singles across the UK. Solitair Holidays has a one-night Valentine’s Dance in Bedfordshire for ages 30 to 59. Whether you’re looking for adventure or simply to escape somewhere exotic, February is a great month for a singles holiday. For maximum sunshine and minimum cost, consider Egypt. On The Go has a great selection of tours in Egypt, some with no compulsory single supplement. 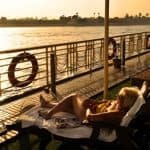 You can do all the major sights, relax on a Nile cruise and there’s also the option of time on the beach. February is a great time to head to Sri Lanka, including one of capital Colombo’s most popular festivals witnessing whip crackers, torch bearers, dancers and decorated elephants parading through the streets. 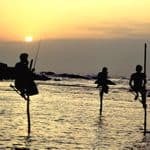 The Colombo, Caves & Kandy itinerary from On The Go Tours taking in the capital, along with the ancient capital and some of the country’s other highlights. Burma might also be on your wishlist too. February is the end of the driest season before the real heat of summer starts, so it’s easier to get around this fascinating country. 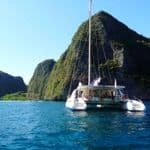 Travelling independently here can be tricky so these guided tours from InsideAsia Tours are a great choice, with single travellers making up around a third of the group. 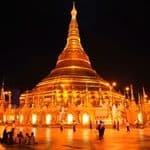 The Highlights of Myanmar itinerary lets you discover the cities of Yangon and Mandalay, as well as the endless temples of Bagan and Inle Lake’s famous stilt fishermen. Make the most of clear blue skies at the end of Japan’s winter and discover the country’s vibrant cities and tranquil temples, along with hot springs and mountain villages on a two-week tour. 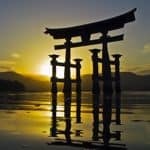 Try InsideJapan Tours which has no single supplements on selected dates, and small groups led by expert guides to experience this fascinating culture. Or choose a trip designed for singles only, such as the solo traveller tours from Cox & Kings. February is the perfect time to explore India, before temperatures rise again, so I’d pick a classic circuit of the Golden Triangle and some of the country’s other iconic attractions, from the Taj Mahal to Rajasthani palaces and tiger spotting. For more wildlife, consider these overland tours where 60% of passengers travel alone, if you want to explore Africa without a big price tag. There’s a mix of hotels and tented camps, and popular trips include the two-week East Africa Circuit, combining Kenya’s Masai Mara with Mountain Gorilla trekking in Uganda. If it’s the gorillas you’re particularly longing to spot, Rainbow Tours has small group tours to see them in Uganda with two of the eight nights of the rainforest of Bwindi. Explore has a great range of wildlife tours including a 4X4 safari in South Africa and Swaziland which visits Kruger National Park along with Hluhluwe-Umfolozi National Park – home to Africa’s largest rhino population. Around 60% of clients on its small group tours travel alone. 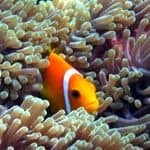 If you’ve always dreamed of snorkelling the Great Barrier Reef, you’ll get gloriously warm seas off Australia this month too. The East Coast Islands & Rainforest tour from Australian Sky is popular with over-50s, although there’s usually a range of ages in the group, and no single supplement if you’re happy to share. Or looking west to another tropical escape, Friendship Travel runs singles-only tours to Cuba combining the capital Havana with some R&R on the beach at Varadero. You can also explore Cuba on foot and on a cycling holiday. As the UK shivers, the thought of cruising gently through the water, a warm breeze blowing, is very tempting. And February has some great cruise options for a singles holiday. This nine-day King Tutankhamen group tour of Egypt take in Cairo, the Pyramids of Giza, Aswan and a Nile Cruise to Luxor. 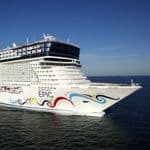 And in the Caribbean, Norwegian Epic has cabins exclusively for solo travellers as well as a far more relaxed atmosphere than traditional cruises as you hop from tropical island to island. If you’d rather look closer to home, Saga Travel has the chance to discover winter in Norway and the Northern Lights on cruises with Saga Sapphire from Dover, with welcome events for solo cruisers. 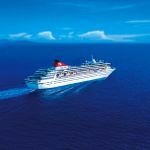 Or head south down the coast of Africa, passing the Canary Islands and Madeira to St Helena and South Africa on a cruise on Saga Pearl II out of Portsmouth. In the Caribbean, the Dominican Republic is perfect in February and you’ll find no single supplement on selected dates at Breathless Punta Cana with Tropical Sky. 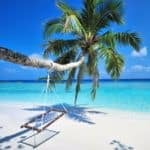 Palm-fringed white sand can also be found on Sri Lanka where you’ll also experience colourful reefs, Ayurvedic massages and, best of all, no single supplements. If you’re working to a strict budget, I’d suggest one of the all-inclusive options, including Koggala Beach Hotel and Long Beach Resort. And the Maldives certainly aren’t just for honeymooners. 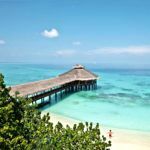 February is one of the best months to enjoy these white sands and idyllic turquoise seas, with Barefoot Traveller offering superb deals at Bandos Island Resort. For the over-50s, Saga Holidays has great prices for long stays with no single supplement – for example, four weeks for the price of three. 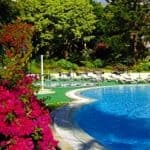 Stay at the Hotel Iberostar Royal Andalus on Spain’s Costa de la Luz, or the secluded Hotel Aguamarina in Tenerife. Further afield, you could stay a few weeks at Saga’s own award-winning Bel Jou on the Caribbean island of St Lucia. If you’re looking for a chilled-out half-term escape with the kids, there are plenty of options for a beach break too. Single with Kids has a week in Lanzarote. 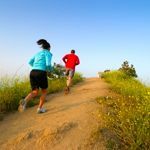 There’s no need to abandon your New Year’s Resolutions as soon as February arrives, it’s a popular time of year to take a healthy holiday whether you’re hoping to focus on your fitness, well being or personal happiness. 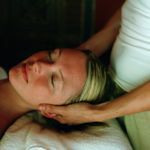 You could join a specially-designed yoga holiday for singles with one of the country’s leading yoga teachers, great food and good company in destinations including Morocco and Thailand. If you want to combine yoga with fitness training, hiking, massage and nutritional advice try a detox retreat designed for solo travellers. Or shed some unwanted pounds on a weight loss holidays at Shanti Som, in Andalucia. Or for an active escape with a difference, how about a ranch holiday from the Inspiring Travel Company – there’s a choice of luxurious resort ranches and small working ranches where you can do as much or as little riding as you wish. 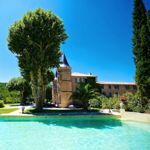 And for a course to focus on mind as well as body, join a personal development holiday at Cortijo Romero, a lovely converted farmhouse set in the picturesque hills of Andalucia. See the course schedule. See a full range of healthy holidays exclusively for single travellers. Need warming up? Find where’s hot in February. and where’s warm in Europe in February.